If you read the first installment of ‘learning begins at home‘ yesterday you will already understand some of my feelings about this subject. My parents were superb at reading to me as a small child and I entered primary school being able to already read. No doubt this was as a result of all the input from them and also my grandparents. As teachers themselves, I recall them saying things like, they could tell which children in their class got support and encouragement at home with learning and which ones did not. From the moment your children are born their learning journey begins and they are sponges of life and all it encompasses. Every moment of every day is a potential learning opportunity. I have never spoken what I would describe as baby language to my children, I talk to them as if if they understand everything. Even as babies, I point out things like the sun, rain, cows or tractors and anything else because in my view that is how their learning develops. I count things constantly, walking up stairs for example 1,2,3,4 and so on. Do you want the red bowl or the blue bowl? and so on and so on – every moment is a learning opportunity to be explored. We sing and dance around the kitchen – they are learning about movement and sound and what their bodies can do. We cook together and they get their hands messy – they are learning about texture, temperature, food and developing motor skills. The list goes on. I have recently developed some learning sacks for my two youngest children to engage them at home in a range of learning opportunities – there will be more about that on the blog soon. One of these sacks is called “All about music”. Inside are a range of items designed to encourage and develop their interest in this area. One of the things I have inside this sack is the new album by Justin Fletcher, our Cbeebies icon. It’s called Just Party and it’s a fantastic playlist of party favourites as well as Justin’s new single which is also called Just Party. Check out the video here. We have 3 copies of this to giveaway so keep reading to find out more! 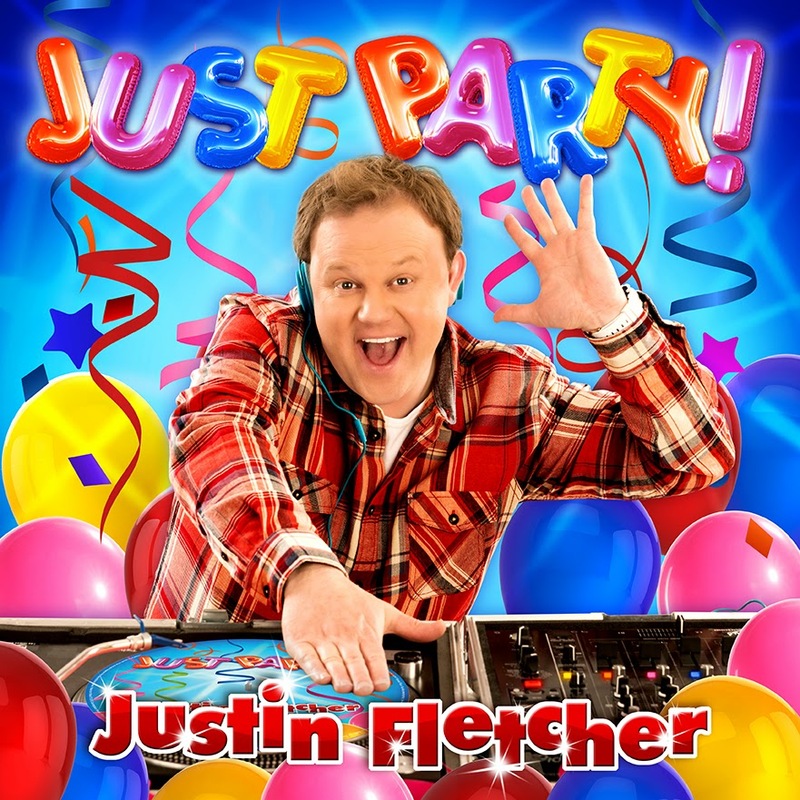 Justin Fletcher’s brand new album was released 2nd March 2015. If you are lucky enough to be going to the LIVE Cbeebies show you will hear him perform his new single live on tour this Easter! CBeebies star Justin Fletcher MBE knows a thing or two about entertaining children, especially when comes to compiling the perfect party playlist. Just Party is Justin’s brand new album and it’s jam packed with toe-tapping tunes that are guaranteed to keep your party swinging from start to finish! I love having this in our learning sack as the children really respond to the songs and I like them too! Featuring an irresistible mix of traditional party songs, popular contemporary hits and the brand new single ‘Just Party’, Justin’s new album is the ideal musical soundtrack for your little ones’ party. Sing along with Justin on chart toppers including “Happy” and “La Bamba” (our favourite) and get your feet moving on the dance floor with “Let’s All Do The Conga” and “Macarena”. It’s the only party album you’ll need all year! Available from Amazon, iTunes and all good retailers. Now if you want to help your children learn about music and movement or even just party hard, why not enter below to win a copy! I've read to my children from the start, taught them rhymes, pointed out numbers,wildlife etc when we are out and about or around the house and garden. I try to answer my children's questions and help them with their homework too. I used to work as a nursery nurse and Year 1 teacher before becoming a full time mum so have loads of my own teaching resources at home. Oh yes repetition works very well – good luck! Oh that's helpful Tracy. – Good luck! I let my son watch(and participate as appropriate) in nearly everything I do. It does makes things take very long and drawn out but it keeps him happy. We learn things by song!